Our guide to Napa will help you find the best bed and breakfasts in Napa California. All those glossy magazine photos and gorgeous film locations don't lie -- California's Wine Country really is that beautiful. A short drive from San Francisco lands you among rolling vineyards, welcoming tasting rooms, charming town squares, and some of the country's best restaurants. There are tons of great bed and breakfasts in the city of Napa, our city guide will help you find the best bed and breakfasts. You may have a hard time deciding what to do in Napa, but we make your decision easy. 1386 Calistoga Ave, (707) 257-2161 - La Belle Époque sets the standard for luxury accommodations in the Napa Valley. There are plenty more bed and breakfasts in Napa. 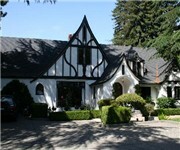 See all bed and breakfasts in Napa California.